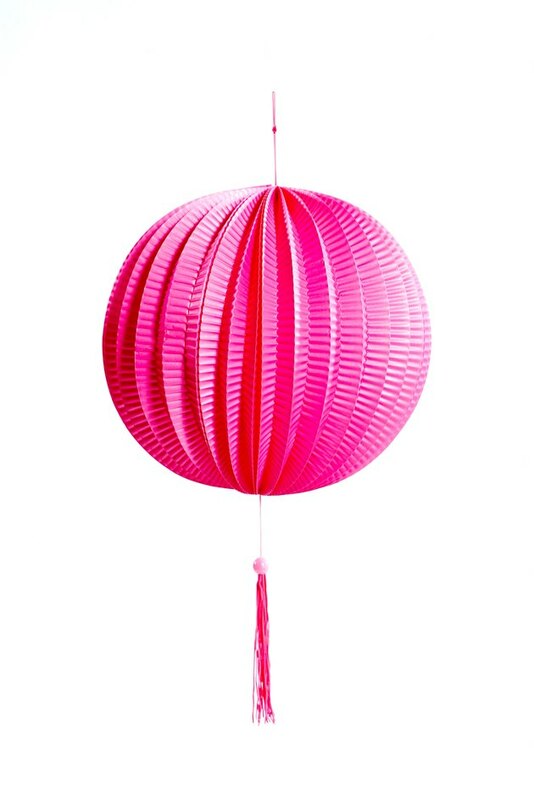 Paper lanterns are an inexpensive way to update the decor of your home or garden with a multidimensional light display. Several lanterns in different shapes, sizes and colors can be clustered together and strung from the ceiling to create a textured effect. The lanterns can remain unlit or hung with LED candles in place of light bulbs, which creates firesafe, ambient lighting. Clustered lantern arrangements are ideal for any style home for a nursery display or overhead lighting for a gazebo and dining room. Textured lanterns enhance the dramatic effect of the display. Assemble each of the lanterns according to package instructions. Install one ceiling hook where you want to hang a small paper lantern cluster with less than five large lanterns. You can also install three hooks in a straight line for larger clusters with multiple lanterns. Cut a length of the nylon string for each lantern. Begin with longer strings, about two feet long. The length of the the string will be adjusted during the lantern hanging. Tie a string to the inside wiring in the center of the lanterns so they hang evenly. Tie the end of the string attached to the largest or most decorative lantern to the center hook. This will become the focal point of the clustered display. Add the other lanterns to the hook or hooks one at a time, adjusting the length of the string to find the desired effect. If you are using a large number of lanterns, vary the lengths of each lantern to create greater depth to the arrangement. Trim the excess string from around the hooks. Hang an LED candle from the inside hook of some or each of the lanterns if desired. Turn on the candles just before an event.